Stunning move in ready home situated in a cul-de-sac overlooking a green space and views to the north! The main level features an upgraded kitchen w/ granite counters that flows into a large eating nook and vaulted living room. You won't want to miss the huge full size 3 car tandem garage that walks into an ample sized mudroom with built in locker areas for all your families stuff! New carpet installed in the entire upper level that features an open loft, large master bedroom with huge master shower and walk in closet, 2 secondary bedrooms, secondary bath and the laundry room. The finished W/O basement has a nice rec room for your game table of choice, built ins for your game players, R/I for a future wet bar and a 4th bedroom and 3/4 bath for your older child or guests to enjoy. 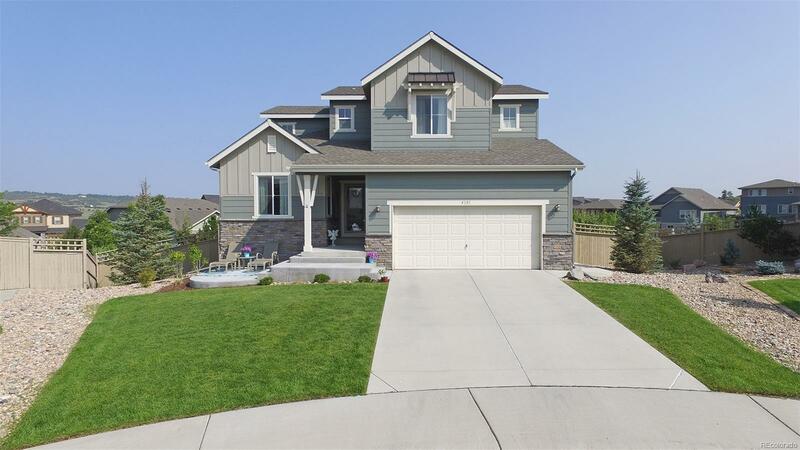 All that plus a covered back deck, fully landscaped yard, whole house humidifier, up/down blinds, radon mitigation system, A/C and Just 1 mile to World Compass Academy Charter school! Don't miss it! !